Like many things in life, the choice between different shopping channels isn’t black or white for most people. According to a recent report from Periscope by McKinsey, very few Americans shop exclusively in-store or online. 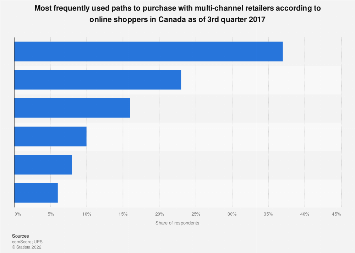 As the following chart illustrates, most consumers are multichannel shoppers, shopping at brick-and-mortar stores as well as online. Interestingly those who have a clear tendency to shop at physical stores outnumber those who make most or all of their purchases online. 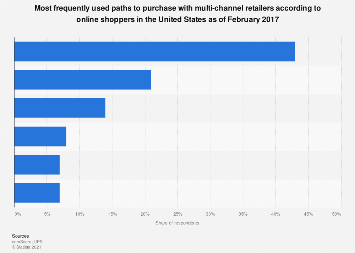 This chart shows which channels American consumers use to shop.